It's merely an hour ago, we reported that the upcoming flagship smartphone from Samsung, the Galaxy Note 9 may pack a huge 4,000mAh battery (here). Now there is an another leak, which shows the range of color options that the novelty will be available for purchase after its launch. 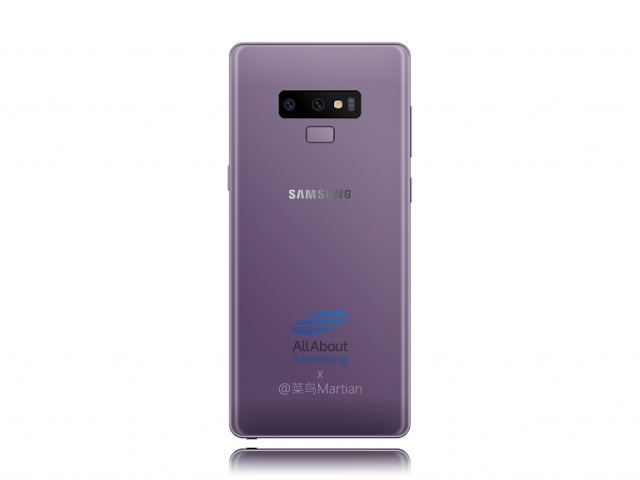 From the leaked image we can see the Note 9 will be available in five different colors, among these will be the return of the Midnight Black variant alongside a slightly lighter Lilac Purple, Lavender. Further, there is a darker Titanium Gray color also there is a new brown color. 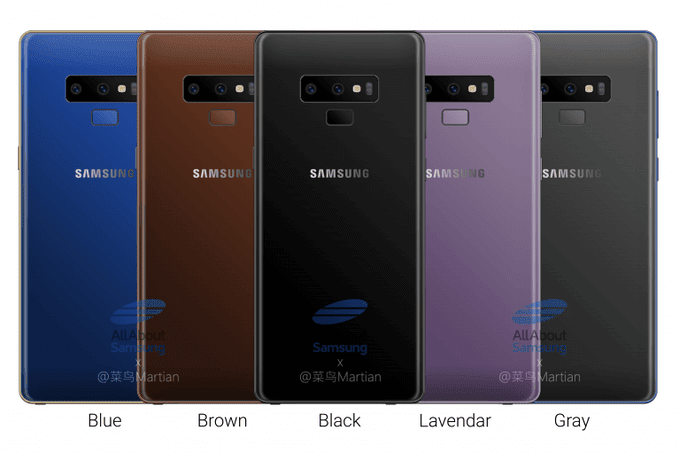 Recall this year's Galaxy S9 and Galaxy S9+ which were released in four different colors, it seems Samsung looks set to expand the number of color variant to attract the buyers. At present only the black, purple, and gray variants are confirmed to be launching, in terms of the remaining color options, though, Samsung is reportedly still undecided but, if they do launch, the two models will most likely act as exclusives to certain markets or carriers. The Note 9 is expected to feature 6.38-inch Super AMOLED display with resolution about 1440 x 2960 pixels. 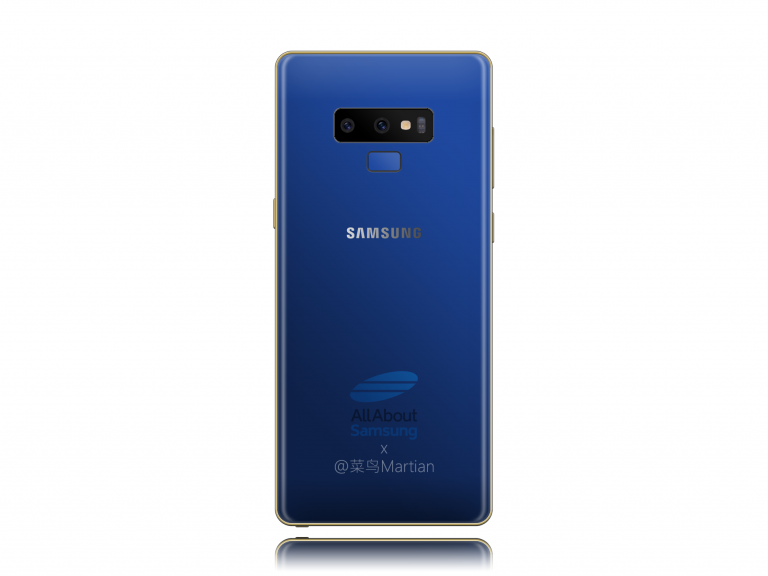 It will have a powerful Exynos 9810 chipset/ Qualcomm Snapdragon 845 processor depending on the region, all of this will be coupled with 6GB RAM and 128GB internal storage, although 64GB and 256GB internal storage variants are also a possibility. The camera department will be an upgraded version from the S9 and S9+. The Galaxy Note 9 is expected to bring the upgraded version of Bixby 2.0. Recent reports have suggested that the smartphone be unveiled in New York towards the beginning of August (2 or 9) with shipments commencing by the end of the month.